The Texas Association of Future Educators or TAFE (pronounced "taffy") is a co-curricular statewide non-profit (501 c3) student organization created to allow young men and women an opportunity to explore the teaching profession. The organization was created in 1984 to provide the best and brightest high school and middle school students in Texas with the necessary knowledge to make informed decisions about pursuing careers in education. TAFE is sponsored by the Texas Association of Secondary School Principals and is governed by a board of directors comprised of teachers, students and principals. TAFE is one of the nine Career and Technical Student Organization (CTSO) recognized by the Texas Education Agency. TAFE is proud to be the newest CTSO recognized in Texas. This recognition has not been granted to a student organization in Texas in the past 20 years! TAFE proudly supports the work of the Educators Rising and each year a delegation of TAFE's top student leaders attend the National Conference to represent the lone star state. 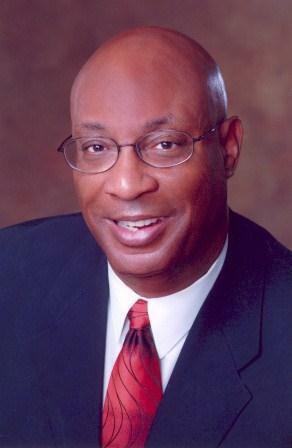 While serving as principal of Estacado High School in Lubbock in the 1980s, Dr. Carrol A. Thomas was among several TASSP executive officers who recognized the need to educate students on the benefits of choosing teaching as a profession. Dr. Thomas and other officers met with TASSP President E. Don Brown and other educators from across the state to establish the Texas Association of Future Educators (TAFE) in order to provide students with the necessary knowledge to make informed decisions about pursuing careers in education. Dr. Thomas was excited at how the organization continued to expand throughout the years. He continued his involvement with TAFE when he became Superintendent of North Forest ISD in 1989 and his involvement in the organization continued when Dr. Thomas was named Superintendent of Beaumont ISD in 1996. "I’m so proud to see the excitement that our young people have about education as a career. It is such a rewarding profession. I remember my days as a classroom teacher and coach fondly,” Dr. Thomas said. "Not only does teaching directly impact the life of a young person but it also opens doors for upward mobility for those who might wish to become a counselor, assistant principal, principal, central office administrator or even superintendent."